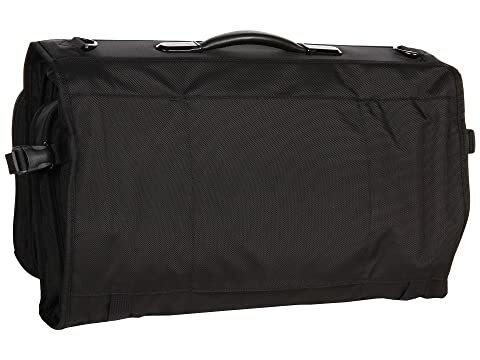 This Compact Garment Bag is from the Briggs & Riley™ Baseline Collection. Perfectly sized to be a carry-on, this trifold garment bag is compact in design and well organized for you to take just about anywhere. 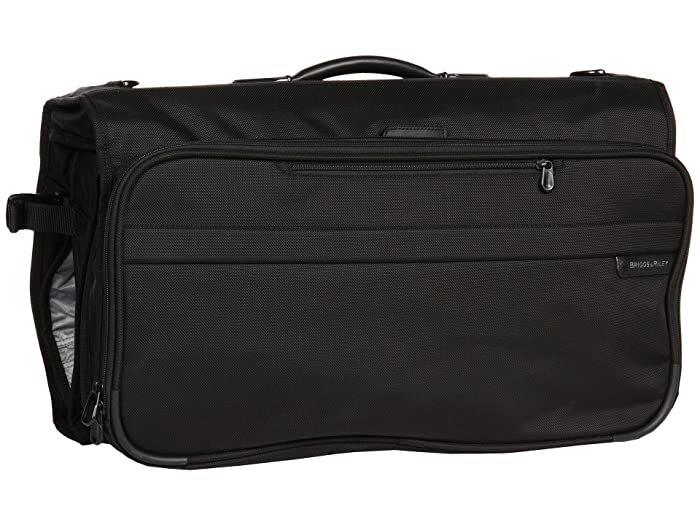 The ideal piece for a two to three-day trip, this garment bag can easily accommodate two to three suits. Ballistic nylon outer fabric resists wear, water, dirt, and abrasion for trip-after-trip durability. Leather handle grip and crossways webbing shoulder strap offer convenient carry options. Divided front pocket includes a key fob, a slip pocket for the shoulder strap when not in use, and a D-ring to hold your hanging hooks. 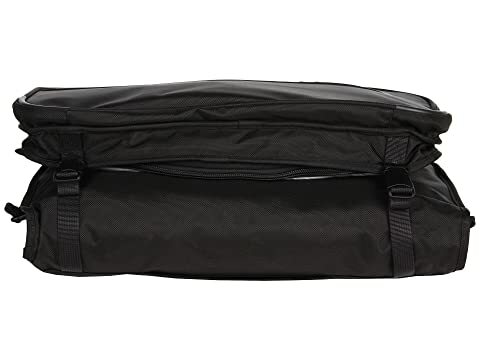 Dual purpose slip-through back pocket allows bag to slide over the Outsider® handle on your other Briggs & Riley upright bags for easy transport; magnetic closure secures bag in place. 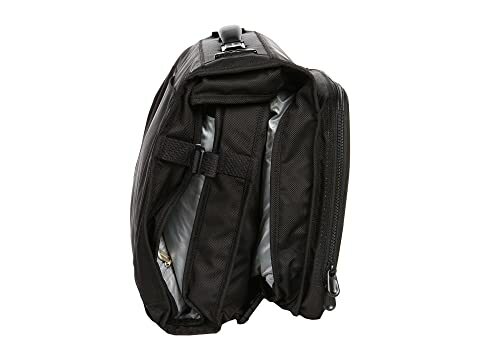 Four adjustable clips along the sides and bottom allow you to cinch down interior contents to prevent garments from sliding around during travel. Main compartment unfolds and features a zippered curtain to help protect your interior items from outside air contaminants such as smoke and perfumes. 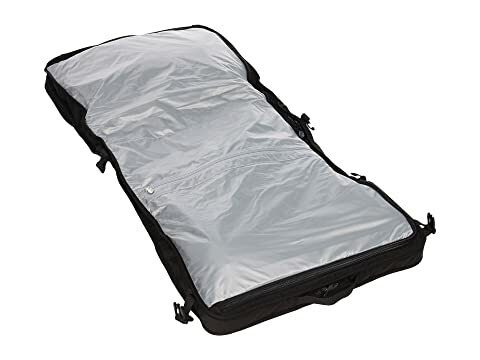 Interior includes two zippered mesh pockets and three larger pockets on the lid, two removable snap-in corner mesh pockets, a large waterproof zip pocket ideal for footwear, a Wally hook to secure your hangers, and foam-centered wings to secure your clothing.